The world is facing a wave of uprisings, protests and revolutions: Arab dictators swept away, public spaces occupied, slum-dwellers in revolt, cyberspace buzzing with utopian dreams. Events we were told were consigned to history—democratic revolt and social revolution—are being lived by millions of people. 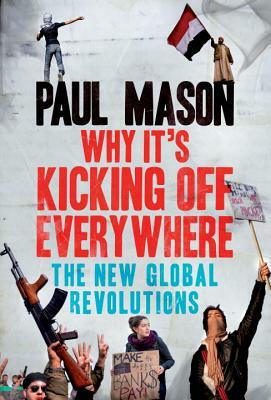 In this compelling new book, Paul Mason explores the causes and consequences of this great unrest. From Cairo to Athens, Wall Street and Westminster to Manila, Mason goes in search of the changes in society, technology and human behaviour that have propelled a generation onto the streets in search of social justice. In a narrative that blends historical insight with first-person reportage, Mason shines a light on these new forms of activism, from the vast, agile networks of cyberprotest to the culture wars and tent camps of the #occupy movement. The events, says Mason, reflect the expanding power of the individual and call for new political alternatives to elite rule and global poverty. Paul Mason is the economics editor of the BBC's flagship current affairsprogram "Newsnight" and appears frequently on "BBC World News America. "He has covered globalization and social justice stories from locations aroundthe world, including Latin America, Africa and China. His book "Live Working, Die Fighting" was longlisted for the Guardian First Book Award.